Home > Are You Weary Today? This year, our family has experienced great loss. My husband lost a father a few months ago and a son two weeks ago. Have you experienced the loss of a loved one, a job, or a home this year? As a result of such a loss, have you prayed a prayer like this…? I’ve prayed this prayer more times than I care to admit. I’ve sobbed at stop lights, faked smiles, and said “I’m okay,” even when I’m not. Like the author of Psalm 6, have you ever cried so hard your eyes hurt? Has grief blurred your vision to the extent you couldn’t see Jesus through the haze of sadness? When our bodies become physically worn out, our souls become spiritually worn out. The Bible says grief sneaks up and robs us of strength. Grief empties our energy, takes over, and completely wears us out. Our reply: I’m not strong enough to handle this. God’s response: You don’t have to be. We can’t find rest on our own. According to Jeremiah, God is the only one who can satisfy and replenish a weary soul. He is our only source of help. No matter how strong we think we are, we will never be strong enough. We need God. 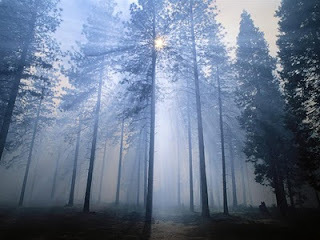 When the dense fog of spiritual weariness covers us, we must act before we rest. First we act– we wait, we look, and we find. Once we draw near to God, he gives the rest we need. The result– replenished strength, refreshed energy, and a renewed spirit. I’m not saying the pain instantly disappears. But, we must make the decision to get up every morning, put one foot in front of the other, and honor God in the midst of our pain. Sweet friends if you are weary today, get to Jesus. He is the oxygen our soul gasps for. We will suffocate without it. I know one thing’s for sure, God cares about his baby girls. He knows when we hurt and why we hurt. He cares so much that he made a promise to weary women everywhere. He WILL turn pain into possibility, hope into a future, and toil into triumph.